Indian River County | Art Lab T Shirts, Signs, Banners and More.. Rated 5.0 stars on YP. Share your own tips, photos and more – tell us what you think of this business! ArtLab Signs and T Shirts- Our Mascot – Rescue a Dog and get 10% off any day at ArtLab LLC! ArtLab’s Mascot – This little beam of sunlight helps us to remember to have some fun amongst the work at ArtLab! Presenting: DARBY!! 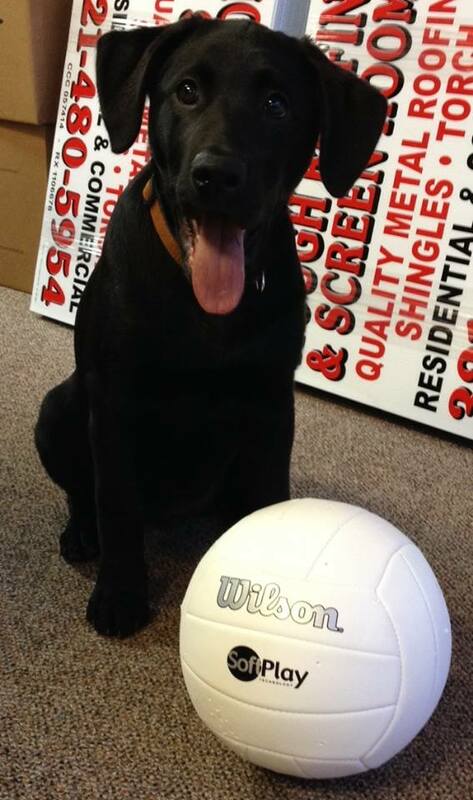 For more cute pictures of this furry face, check out our Facebook! You won’t regret it! We also do embroidery for Jackets, caps, polos and more. Here are a few examples of some recent jobs. Need Lettering put up? ArtLab helps YOU advertise! ArtLab decal installation – Need to put your name out there? Let ArtLab help you advertise your business/ organization! Car bodies and building windows are no problem for ArtLabs’ team! Our art department can make your simple sketch into an impressive eye-catching graphic that will garner the attention of anyone that sees it! The ArtLab team can also install your designs in a timely and professional manner! Check out some of your past work below! Maid Services! Even with the many curved lines on the car, we were able to install the graphics on in a way that makes it look straight and professional! We installed some window graphics designed by Matt Favero for local tattoo artist Jim Gibbons. 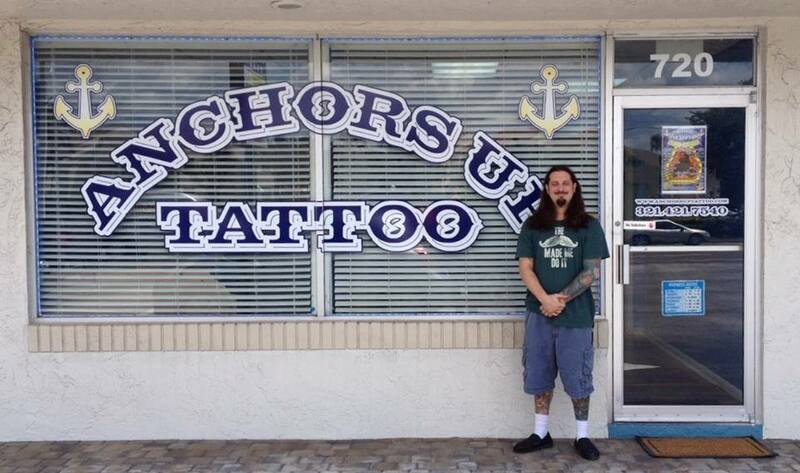 Jim’s new shop is located at 720 East Eu Gallie BLVD in Indian Harbour Beach (just east of Corey’s Bagels). Stop in and meet the talented Jim Gibbons! You can tell he likes his shirts created by ArtLab in Palm Bay FL. The new Brevard Live Magazine T-shirts have arrived! ArtLab Business Samples – Palm Bay, Melbourne, Viera, to Vero! ArtLab T-Shirt and Graphics, located in Palm Bay FL, serves Businesses, Schools and Organizations in Brevard & Indian River Counties, including Palm Bay, Melbourne, Viera, Sebastian, Vero, and the Beaches. Owner Steve McElwee has been in the printing business for over 35 years! Steve started as an airbrush artist customizing surfboards for the Brevard County surf industry in the late 70’s. ArtLab provides clients with the highest quality, custom screen printed and digital products. Our outstanding art, customer service and fair pricing, set us apart from the competition. Come visit ArtLab, your One Stop Shop for the best in custom t-shirts, sweatshirts, polos and caps. We also provide banners, decals, signs, vehicle graphics, magnetics and a full range of promotional products. Here are three designs done for businesses in the Sebastian and Vero Beach area. We print regionally, thanks to our network of wholesale outlets. Specials this month – Call today and here what they are! We serve Brevard & Indian River Counties, including Palm Bay, Melbourne, Viera, Sebastian, Vero, and the Beaches. We also serve and ship to many regional clients throughout Florida and the Southeast.